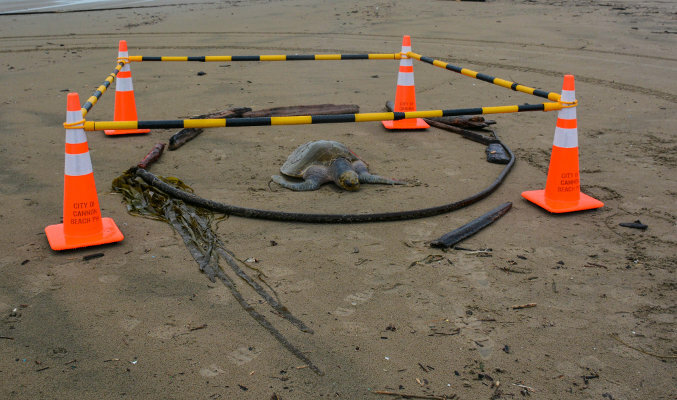 Winter storms can bring cold-stunned sea turtles, like this Olive Ridley sea turtle found on the northern Oregon coast, onto Oregon and Washington beaches. If found and recovered quickly, they can be taken to a rehab facility and eventually returned back into the ocean. 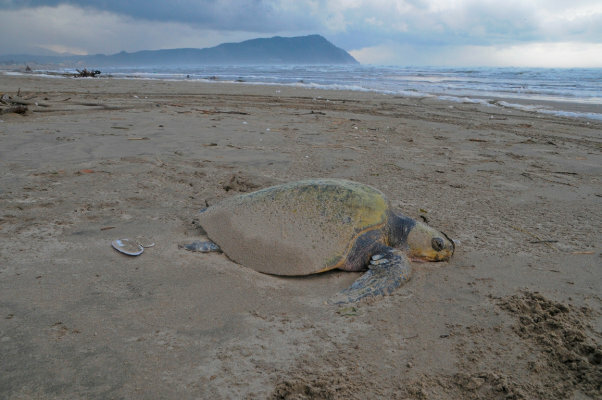 Winter storms can bring cold-stunned sea turtles, like this Olive Ridley sea turtle found on the northern Oregon coast, onto Oregon and Washington beaches. If found and recovered quickly, they can be taken to a rehab facility and eventually returned back into the ocean. Olive Ridley sea turtle rescued off of Seaview beach on the southern Washington coast. Olive Ridley sea turtle waiting to be transferred to a rehab facility after being found on the beach suffering from hypothermia. 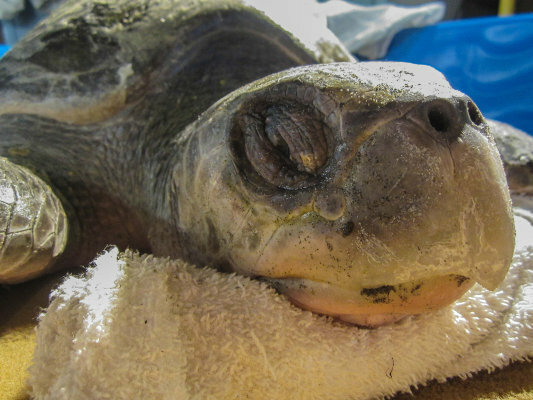 Cold-stunned sea turtle washes ashore in Cannon Beach, Oregon. Olive Ridley sea turtle rescued off of Gearhart beach on the Oregon coast. Seaside Aquarium has a long history in the rescuing of cold stunned sea turtles. Sea turtles forage for food in an offshore warm-water current that originates much farther South. Certain weather patterns like prolonged Southwest winds can drive that warm water farther North and closer to shore than usual. If this happens and then conditions suddenly change, the warm current dissipates, and the turtles find themselves trapped in the colder currents that run naturally along the Oregon and Washington Coasts. Turtles like all reptiles are cold blooded, so this is a highly unfavorable situation for them. Their bodily functions slow and they may become hypothermic. 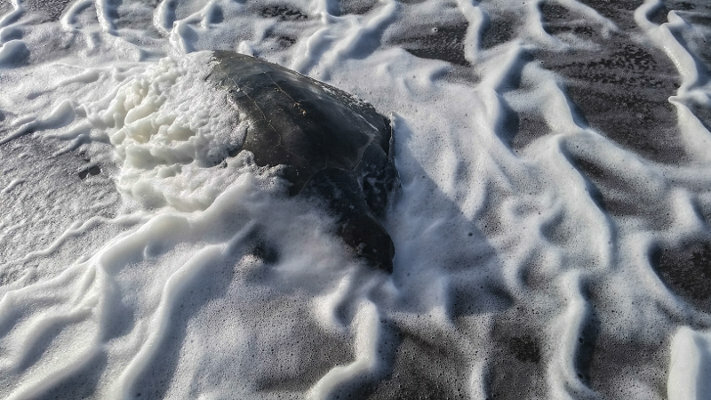 Strong west winds can blow hypothermic sea turtles onto the beach, where they have a better chance of being found and taken to a rehabilitation facility. Turtles suffering from extreme hypothermia may be unresponsive to touch. Their heartbeat may be so slow and weak that it's difficult even to detect. The Seaside Aquarium is located between the only two licensed rehab facilities for sea turtles in the Pacific Northwest and while we are not set up for rehab we use every possible resource to get these turtles off the beach and into a stable environment. This often means taking the three hour drive to either the Oregon Coast Aquarium or the Seattle Aquarium. 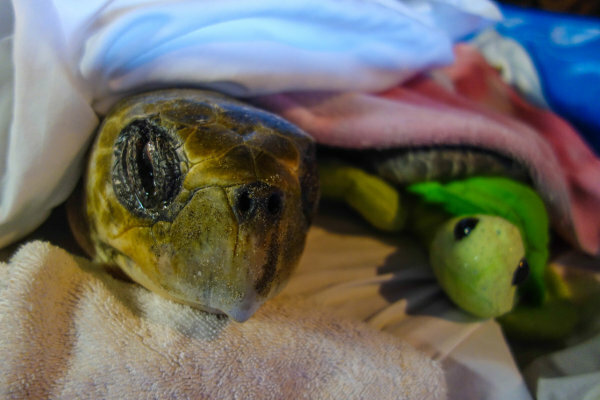 It can take multiple weeks for a turtle to stabilize from such trauma, if it recovers at all. If it does indeed stabilize, the turtle is transferred to another rehab facility in California where it may continue its recovery. If all goes well, it's finally released back into the wild!